Experience of the State Ministry for Women’s Affairs has failed to attain the promised goals. Iraqi Women Network believes that gender should be across cutting issue in all government ministries and not limited to a ministry for women with little budget and human resource and will be under the pressure of a certain political party and its ideology. The State Ministry for Women's Affairs has been part of the government's formation of the Cabinet in 2005 as the higher authority for women's affairs and work to improve women’s status. It has failed to achieve its goals of making women's issues a priority in the government's programs, right until its cancelation in mid-2015. Among the reasons for the failure of the experiment subject to sectarian proportions and political and ideological pressures, depending on the party of the minister or the party in power, thus weakened its performance in promoting the principles of equality and equal opportunities for women and their participation in public affairs and enjoying political, civil, economic, cultural and social rights enshrined in the Constitution. At the end of 2016, the Women's Empowerment Directorate was established by the General Secretariat of the Council of Ministers, with the restructuring of two committees; the Higher Committee for the Advancement of Women and the Higher Committee for Rural Women, as well as the formation of the National Team for Resolution 1325.1 However, the absence of the necessary human and financial resources and overlapping responsibilities between them, and conflict of interest among those involved, led to dispersion of efforts in the implementation of national policies and plans for women, along with serious regress the situation of women. This is what SCR 2367/2017 referred to as the failure to implement the National Action Plan for Resolution 1325, because there is no national mechanism and resources necessary for the implementation. Based on the fifth objective of Sustainable Development Goals (SDG) 2030, in regards to gender equality as one of the necessary foundations for peace, prosperity, and CEDAW and SCR 1325 on women, security and peace. In order to ensure the integration of a gender perspective into national policies, to empower women, to develop their status and to raise social awareness of their rights and as a fundamental force in the fields of leadership, peace-building, stability, conflict resolution, national reconciliation and sustainable development. 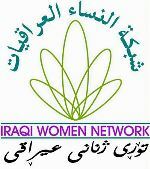 Forming an independent national entity for women's affairs (the National Council for Women’s Empowerment), based in Baghdad, and linked with the Council of Ministers. The National Council for Women’s Empowerment seeks to create a committed partnership with ministries and entities not affiliated with the Ministry and all independent bodies. It, also, works with the parliamentarian committees; Women, Family and Children, the Legal, and Human Rights committees, as well as with the Higher Judicial Council and the Higher Council for Women’s Affairs in Kurdistan Region. In addition with civil society organizations, media institutions and women’s and social studies and research centers. The Board of Trustees consists of 15 members, elected by a committee of experts, according to the following percentages: 4 for the executive authority, 3 for the legislative authority, 1 for the judiciary, 1 for the Higher Council for Women’s Affairs in Kurdistan Region, 3 for civil society organizations, 2 for Media institutions, and 1 for centers for women and social studies and research. The Council shall carry out its functions through the formation of permanent and temporary committees as required, and shall be under its supervision and the follow-up of (Legal Committee, Finance Committee, Administrative Committee, Committee for Planning and Policies, Committee for Relations and Information, and Committee for Training and Studies). The term of membership in the Board of Trustees shall be four years. And, to sustain and develop the experiment, one third of the members of the Board will be appointed for two consecutive terms. All members shall be equal in terms of voting. The President of the Council shall have the rank of Minister and shall have authority to attend the meetings of the Council of Ministers. The members of the Board of Trustees shall be assigned the rank of General Director in terms of powers and privileges. Forming a committee of experts from nine members representing the constituents of the Council will be appointed by the Council of Ministers. It will be responsible for selecting the Trustees of the National Council for Women’s Empowerment according to criteria: believe in women's rights and equality, have experience and competence in leadership and have at least five years of management. To improve the health, cultural, political, economic and social conditions of women in order to achieve gender equality and justice and increase their participation in decision-making positions. A partnership between official and non-official actors in the formulation of policies and programs to empower Iraqi women, monitor their implementation and sustainability, and identify the active roles of women that enhance their participation in achieving the goals of sustainable development. Proposing the general policy and national plans and following –up their implementation and evaluation and development in the field of women's empowerment, and the development of women’s political, economic, social and cultural role in sustainable development programs. The follow-up and building of a database and monitoring the integration of gender into the Iraqi government’s national strategies, programs and annual budgets. Proposing legislation and discussing bills and educational curricula, in order to eliminate all forms of discrimination and violence based on gender. Holding conferences, seminars, discussion groups and research on topics related to gender, building women's capacity and skills in decision-making positions in various fields in cooperation and coordination with official bodies, civil society organizations, regional and international governmental bodies and NGOs. Preparing the national reports concerning women’s situation, to be submitted to national, regional and international bodies in cooperation and coordination with the relevant institutions. And representing Iraq in regional and international forums on gender issues in cooperation with various relevant official bodies. Issuing publications and newsletters, and enhancing the role of the media to change the stereotype of the status of women, and to raise awareness on concepts of gender justice. Cooperating with ministries and entities not affiliated with any Ministry and independent bodies, and obligating them to submit to the Council; their documents, data, statistics and information related to gender. Reinforcing partnerships with civil society organizations, media and research centers and studies, in community outreach, monitoring, documentation, empowerment and capacity building in accordance with the programs of the Council.